Product prices and availability are accurate as of 2019-04-21 01:08:10 EDT and are subject to change. Any price and availability information displayed on http://www.amazon.com/ at the time of purchase will apply to the purchase of this product. 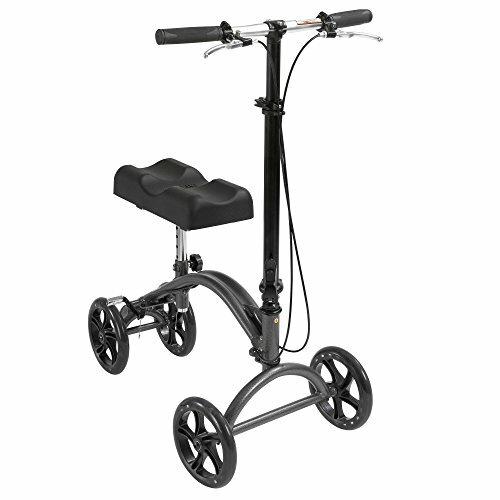 Relieve pain and significantly increase mobility following foot surgery, lower leg breaks, sprains, amputation and foot ulcers with the Drive Medical DV8 Steerable Knee Walker. Ideal for both indoor and outdoor use, the sturdy aluminum steering column ensures stability and durability, while the hand-operated, deluxe dual-braking back wheel system provides the ultimate sense of security. The thick knee pad is crafted with channel-style indents to cradle your leg like a comfortable cushion, offering unparalleled support compared to stiff crutches. Fully maneuverable front wheels create a consistently smooth riding experience. 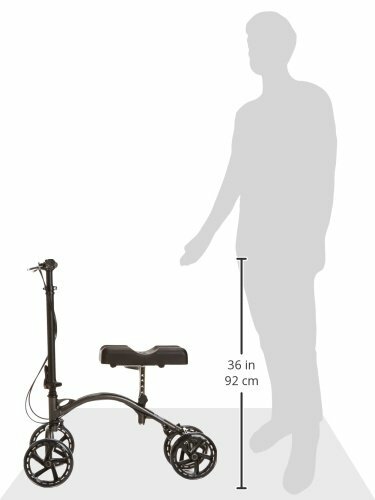 Tool-free height and left/right leg adjustments make customization simple, while lightweight design and foldable steering column make transportation easy for all-day use.